Manchester United did not pursue the transfer of Tottenham defender Toby Alderweireld as strongly as has been suggested in the media for much of this summer. 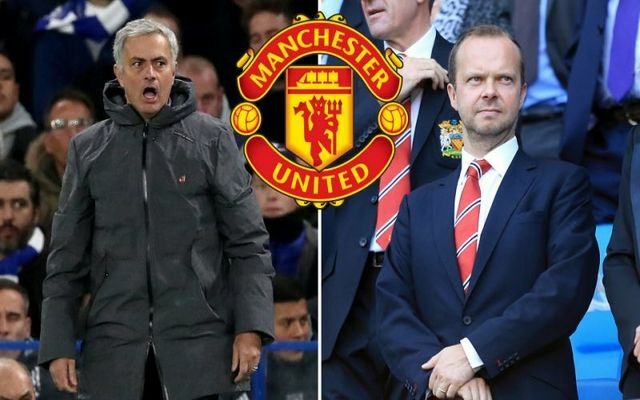 Sources at Old Trafford have told CaughtOffside that club chiefs such as Ed Woodward did not necessarily share Jose Mourinho’s view that a new centre-back has to be a big priority this summer, with the executive vice-chairman only meeting Tottenham chairman Daniel Levy once this summer. It seems there was genuine interest from the player himself in making the move to United, with Belgian outlet HLN among those reporting that the £58million-rated Spurs star was hoping his club would agree a deal to let him go. However, CaughtOffside have been told that many inside United feel the club have enough options at the back at present to avoid splashing out the kind of money that would have been required for Alderweireld in what they feel is an inflated market. Meanwhile, reports of interest in Yerry Mina are also understood to have been somewhat wide of the mark. United fans will no doubt be disappointed at this apparent lack of ambition from the club, and may also feel a certain degree more sympathy towards manager Mourinho, who has hardly been Mr Popular in his time in Manchester. The Portuguese has seemed to publicly air his grievances about United’s lack of transfer activity this summer, and it does seem he has not been sufficiently backed. While United do have numbers at the back, Alderweireld would surely be an obvious upgrade on players like Chris Smalling, Phil Jones, Victor Lindelof and Marcos Rojo, even if he’d be pricey given his age and lack of regular playing time at Tottenham last season.